In prior postings I have discussed the importance of the notice of commencement, particularly when it comes to notifying lienors of applicable information regarding their construction lien or payment bond rights and the priority of construction liens. In certain circumstances, it may be in an owner’s best interest to terminate the effectiveness of the notice of commencement by recording a notice of termination of the notice of commencement. This is governed by Florida Statute s. 713.132 set forth at the bottom of this article. An owner may not record a notice of termination except after completion of construction, or after construction ceases before completion and all lienors have been paid in full or pro rata in accordance with s. 713.06(4). If an owner or a contractor, by fraud or collusion, knowingly makes any fraudulent statement or affidavit in a notice of termination or any accompanying affidavit, the owner and the contractor, or either of them, as the case may be, is liable to any lienor who suffers damages as a result of the filing of the fraudulent notice of termination; and any such lienor has a right of action for damages occasioned thereby. Including the contractor’s payment affidavit identifying the amount it is owed and that it owes lienors, which the owner can rely on in preparing the notice of termination. 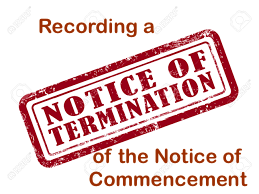 Once the notice of termination of the notice of commencement is recorded, construction liens recorded after the termination will NOT relate back to the notice of commencement (thus, impacting the priority of the liens). This is why it is important to record any construction lien within 30 days once you receive a notice of termination of the notice of commencement if you have NOT been paid in full or there is a payment dispute. For example, in Lasalle Bank National Association v. Blackton, Inc., 9 So.3d 329 (Fla. 5th DCA 2011), the home-builder recoded a notice of termination of the notice of commencement that terminated the notice of commencement 30 days from its recording. Attached to the notice of termination was the homebuilder’s payment affidavit. There were no liens within this 30-day window. 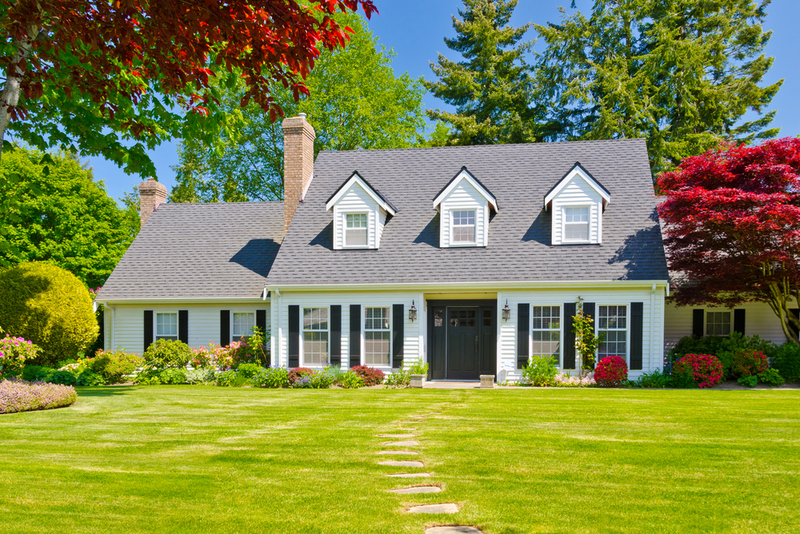 After homeowners moved into the house and their mortgage was recorded, they notified the homebuilder of certain defects/warranty items, and the homebuilder engaged a new subcontractor to fix the defects/warranty items. The subcontractor was not paid and recorded a lien. The issue was whether the subcontractor’s lien related back to the notice of commencement and took priority over the homeowners’ mortgage. 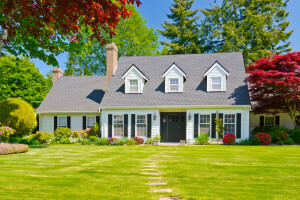 The Fifth District Court of Appeal held that the mortgage had priority since the notice of commencement was terminated and the lien was recorded after the notice of commencement had been terminated. This meant the lien was inferior to the mortgage.